In 1996 Verity was appointed a staff specialist at Westmead. She completed her specialty training at Westmead and in the busy breast cancer practice at London’s Guy’s and St Thomas’ Hospitals. She has been involved in the development of patient and clinician guidelines for breast cancer through the National Breast and Ovarian Cancer Centre as well as the Cancer Institute NSW. Verity has been the principal investigator of several national and international breast cancer clinical trials in which women from Westmead have participated. 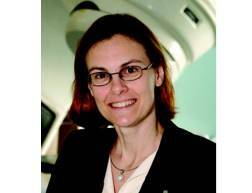 She is the Trial Chairperson of the Trans Tasman Radiation Oncology Group trial “PET scans for locally advanced breast cancer and diagnostic MRI to determine the extent of operation and radiotherapy (PET LABRADOR). She is also a senior lecturer with the University of Sydney.